BRYAN EATON/Staff photo. 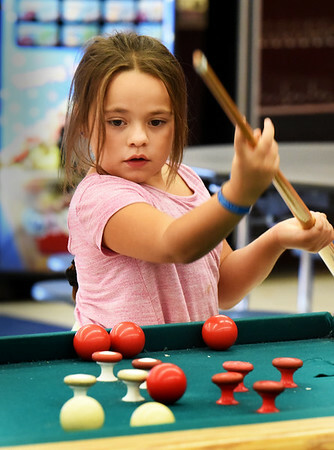 Olivia Parada, 7, of Salisbury watches her shot follow through in a game of bumper pool at the Boys and Girls Club. Monday was the first day of their afterschool programs.